The Myanmarnize word of the Shan word “Panglong” is “Pin Lone” as the current regime make a concerted drive to cleanse the ethnic nationalities of the Non Myanmar such as changing not only the name the country but also eliminating the name that has the ethnic origin. The country has celebrated its 66th anniversary of the founding of the Union of Burma; it seems that the regime is making an attempt to cajole the Non Myanmar race to agree to its dictated concordat which they will organize very soon. If General Aung San did not promise equal opportunity and self-determination, the country might never have been founded under the title of the Union of Burma. The Panglong Agreement was aimed at setting up a federal union on the foundation of equality and autonomy for every ethnic nationality. Hence, democracy alone will not bring peace to the country, until the rights of all ethnic groups are respected, irrespective of political and religious affiliations. Burma's ethnic nationalities are neither the minority or secessionists nor separatists, but are striving for autonomy in their respective territories within the Genuine Union of Burma. Different ethnic nationalities must be brought into confidence, and their legitimate demands should be looked into. The country needs reformation in various sectors ― both private and public and most importantly political problems need to be resolved by political means. Successful conflict resolution depends on the facilitation of open dialogue like the 2nd Panglong Conference where all the ethnic races can attend on the basis of equality and find a successful conflict resolution. In this aspect we support Daw Aung San Suu Kyi's call for the ethnic 2nd Panglong Conference with herself representing her father and the Myanmar race. All the ethnic communities residing in the country wants to be the components of the Genuine Union of Burma as envisage by its founder Bogyoke Aung San and is desirous to stay in the Union but not at the expense of the dominance of the Myanmar race over the other ethnic nationalities, who have become second citizens. All the ethnic nationalities combine together constitutes nearly 50% of the population of Burma and so cannot be construed as minority. How can a population of Non Myanmar which is more than Canada can be categorize as a minority. The essence of the Panglong Conference retains the ethnic nationalities birth right to self-rule. “The essence of the Panglong Agreement was, and is, mutual recognition and respect, based on the principles of political equality, self-determination and voluntary association.” It has been said that according to the Panglong Concordat, the Union of Burma was originally designed to be a federal country, and not a unitary state. 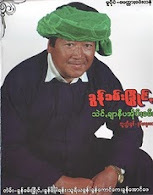 Bogyoke Aung San, who headed Burma’s independence movement and government as the acting Prime Minister of independent Burma, fully understood that only a federal arrangement would work in a multi-ethnic Burma. Ethnic nationalities were granted the right to self-determination, a certain degree of regional autonomy, and separate state legislature in accordance with the terms and conditions set forth in the historic Panglong Agreement. Scholarly to be exact it is not the 2nd Panglong Conference because the first Panglong Conference was initiated in 1946 was not successful in forming the Union of Burma as the ethnic communities especially the Shan Saophas were still very suspicious of the Myanmar (Burmans0 whom they construe that has cooperated with the enemy Fascist Japanese and play havoc in the country under the banner of Burma Independence Army (BIA). It was only in the second attempt on Feb 12th 1947 it could successfully complete the 2nd Panglong Conference. So what Daw Aung San Suu Kyi calls it is actually a sort of a 3rd Panglong Conference where all the stake holders would participate particularly the ethnic nationalities especially those who were left out in the 2nd Panlong Conference of 1947 like the Karen, Karenni, Arakanese (Rakhine) and Mon. Perhaps the WA if they don’t consider themselves to be in Shan State will have its place to form the real genuine Union of Burma and not the Union of Myanmar as it could not be dominated by the Myanmar group only. Without securing such a prior written constitution first, it is clear that no ethnic nationalities of Burma will have any incentive to cooperate as members in a future democratic Union of Burma. Therefore, for an ethno-culturally diverse and divided society like Burma, a constitutional federation that would accommodate the aspirations of ethnic national minorities with separate legislatures and simultaneously integrate all federated units into one common polity under one flag is the best suited form of governance for the multi-national Burma. Politicians representing pro-election parties have expressed support for the “Kale Declaration” made by ethnic leaders and politicians opposed to the Nov. 7 election in Kale, Sagaing Division. Though the aims of the statement are similar to the three aims of the military government—non disintegration of the union, non-disintegration of national solidarity and perpetuation of sovereignty, the military government dominated by the majority Myanmar still hesitate to cooperate with the ethnic nationalities but the democratic groups have declared to support it. Senior National League for Democracy party leader, U Win Tin, joined calls supporting the idea a second Panglong Conference as a solution for Burmese ethnic peoples to win back the right of self-determination lost for 60 years. The Zomi National Congress said it had made the call because the 2008 constitution and 2010 election could not guarantee national reconciliation and genuine federal union based on the right to self-determination as desired by ethnic peoples. The NLD, along with ethnic parties, has signed the statement calling for a second Panglong Conference. The essence of that agreement was to consolidate the unity of Myanmar and non-Myanmar ethnic nationalities and is genuine union that guarantees equality and the right to self-determination of the ethnic peoples. After 60 years under the rule of Myanmar dominated administrations, the military dictatorship and some of the ethnic nationalities seems to lose the essence of Genuine Union of Burma. They’ve also seem to lose the equality and right to self-determination of ethnic peoples. When the National Convention was convened, ethnic people joined it with the expectation of gaining self-determination, equality and genuine union through it by reaching a ceasefire agreement with the Junta. The ethnic nationalities sought on ethnic rights but it did not materialise as they were not given a voice. With the enforcement of the Border Guard Force scheme a new wave of civil war has broke out in Kachin State. So, what we really have is a constitutional crisis. According to the 2008 Nargis Constitution, all the armed forces shall be under the control of the sole Commander-in-Chief of the Tatmadaw (Armed Forces). So the military junta must work towards putting all these ceasefire armed groups under the complete control of its chief after this constitution comes into force or even before coming into force. If this task can’t be achieved, they have to launch war against these ceasefire groups stationed along the borders and that is exactly what they are doing in Kachin State at the time of this writings. But on the other hand these ethnic armed groups started their own revolutions, the struggles based on the politics ranging from 10 to 60 years ago and can’t force them to join the Junta’s army or convert their armies into either BGF or people’s militia by surrendering their arms because their struggles started based on political objectives and ethnic rights issues. Some have degraded into “opium armies” and some have surrendered their arms. The BGF proposal cannot be accepted by most of the ethnic forces and the NLD’s stance is to resolve ethnic and border issues through political means. Any government has the responsibility to resolve any issue arising in the country by negotiations, no matter what they like or dislike about the issue. They must explore ways to resolve these issues by political means only. It would not be right to resolve them by shooting and imprisoning people. Kale Declaration, which was signed by 109 ethnic leaders and politicians calling for a federal system based on equality and democracy to be established through a second Panglong Conference, was never mentioned again. Why. The ethnic leaders believe that Daw Aung San Suu Kyi is the best person to lead a second Panglong type Conference and backing such a Conference would be a big challenge that carries real risks for her, including detention by the Junta. Because it also called for an end to dictatorship, respect for human rights and democracy for the people. Daw Aung San Suu Kyi said fostering a Panglong spirit is important for the next generation, and she asked for people's help. Her immediate focus on a more durable and equitable resolution of Burma's festering interethnic relations should pique interest from other countries especially China. By proposing to reopen negotiations on a new 2nd Panglong Conference, modeled on the 1947 pact between the central government and ethnic nationalities, Daw Aung San Suu Kyi is not only aspiring to complete the unfinished work of her martyred father but is also potentially laying the groundwork for genuine security and economic prosperity in the border areas where most ethnic nationalities live. The 1947 Constitution had failed to guarantee equal rights, autonomy and self-determination as agreed to at the conference. That was one of the factors that led some ethnic groups to launch military operations. (4) to bring about national reconciliation with the united support of all nationalities. Moreover, the statement reaffirmed the importance of a federal democratic system while rejecting the unitary system enshrined in the 2008 Constitution. It also rejected any cessation from the union, a charge level against ethnic groups by the junta throughout its history. The second Panlong statement could be a significant move forward on the part of the NLD and ethnic groups, designed to strengthen the democratic movement and assert leadership in the new political landscape. For the NLD, it represents a follow-up action to its recent announcement that it will seek opportunities to talk to leaders of ethnic cease-fire groups under its long-term pursuit of genuine national reconciliation. Although the Junta dissolved the NLD, the party's leadership has been working to expand its activities by conducting organizational tours in ethnic states under the leadership of chairman Tin Oo and secretary Win Tin. In the past, the Junta effectively blocked communication channels between the NLD and ethnic cease-fire groups. The current step forward represents progress, if the NLD can forge a working relationship with the cease-fire groups. This accelerating dynamic could serve as a focal point for Daw Aung San Suu Kyi's re-engagement in politics, after her presumed release on Nov. 13, one week after the election. Under her leadership, the democratic opposition and ethnic groups could continue to play an important role in post-election politics. “The second Panglong conference is intended to give people a strong sense of unity. It does not intend to oppose any person or any organisation” said Ohn Kyaing the National League for Democracy spokesman. “Firstly, we need to reach a basic agreement. Then, the military needs to make some changes and give the political parties basic rights. After an all-inclusive dialogue we will achieve national reconciliation. National reconciliation is the most important thing. The second Panglong Conference can achieve it,” said U Aye Tha Aung. The Burmese people have long believed that only Daw Aung Suu Kyi can bring about national reconciliation. One could recollect that the second Panglong Conference is in fact what Suu Kyi called for in the national reconciliation effort of 1988-89 when she arrived in Panglong during a tour of Shan State. The Second Panglong statement by the NLD and ethnic group leaders could offer a framework to strengthen the democratic opposition while working toward genuine national reconciliation. The principles of federalism are quite contrary to secession and. establishing a genuine federal union with the participation by all ethnic peoples for the sake of security of this union should be the goal and businesses, even though it has to be admitted that there are unhealthy tendencies among ethnic who care for their self interest. The military regime now believes that the most potent threat to its political pre-eminence are the ethnic groups, then a more accommodating posture towards the now weakened but still politically relevant civilian political parties led by Daw Aung San Suu Kyi. So her release is not much of a surprise. She herself seems to have realized this by calling for a 2ndPanglong Conference to facilitate reconciliation and political consensus between the Myanmar majority and the non Myanmar ethnic minority is the main criteria of Burma’s problem. Also expect China to play an active role to ensure that the political benefits it has gained by brokering peace between the ethnic groups and the Myanmar military are not eroded. China will put pressure on both the ethnic leaders as well as the Myanmar military using its significant leverage over both. India may well have political opportunities it can exploit to consolidate its presence in a strategically important neighbour. At first the idea of the Panglong Agreement is no longer suitable to current country’s situation and that stance even threatened peace and stability it declares. It even ridicules the persons who suggest holding online conference using the Internet. And make it plain this “cheap political stunt” threatened peace. But as of now following the release of Aung San Suu Kyi and the opening of peace talks with armed resistance movements, voices calling for second Panglong Conference of the 21st century have become louder. Former Senior General Than Shwe made an address at the Passing out of Parade of No. 12 Intake of the Defense Services Medical Academy on 24 December 2010 it said that the Tatmadaw or Burma Army has taken the responsibilities of the State, east-west and north-south networks of motor roads, railroads and airports have been built to lay the ground for friendship and harmony among the nationalities. By doing such advancement, the nation has been achieved in the economic, health and education sectors of the States, he said. Hence both the Generals and the army is not only against Democracy but also the real Genuine Union of Burma. The call for the 2nd Pnglong has met with positive reception but it is also crystal clear that, the military is not on board. While the door appears to be left ajar in case they decide to join, there also appears precious little energy being expended to make a 2nd Panglong Conference a success. But it directly refuted the Nargis Constitution and ensuing 2010 general election, denying the legitimacy of both. Clearly, the central government, drawing legitimacy from both the constitution and the election, is not going to support the initiative as currently envisioned. As such, a 2nd Panglong Conference, operating outside of the legal fold, essentially demands parties chooses between rival and antagonistic contestants to political power. Instead it should encapsulated, all parties would be wise to ask what is necessary for any such conference to have any practical effect on developments inside Burma, as opposed to becoming yet another unenforceable demand to be paraded in front of the international community. We are afraid that the 2nd Panglong Conference inclusive solely of like-minded parties and organisations would assuredly be less contentious and far simpler in production; it would also assuredly mitigate any meaningful contribution that may be forthcoming from its convening. At the same time, the opposition parties outside the parliamentary process have also attempted to bring ethnic issues to centre stage. There are many reasons why such a new meeting would be problematical. Who, for example, would represent the different ethnic and ideological groups in the fractious political landscape? For their part, government officials are strongly opposed. A rebuttal in the state media called the idea “a fantasy extremely opposed to reality”, because such a proposal overlooked the economic infrastructure and political achievements of the previous Juntas. But the hopes for such a new meeting have not retreated. The call has subsequently been supported by other ethnic parties, including both elected and armed groups. At the same time because of the cease fire agreement they do not want to confront the new government, they say, but to return to the principles of national equality promised by Aung San. “Everybody would be happy if the same attitude and the same approach could actually be implemented in coordination with the new government,” said Nai Han Thar, the former General-Secretary of the ceasefire NMSP. Such calls for extra-parliamentary initiatives, however, are likely to be controversial and risk government suppression. The NLD has already given general support. But as Daw Aung San Suu Kyi explained after her release from house arrest, if real national reconciliation and progress are to be achieved, the critical need is to bring all Burma’s peoples together in the same processes of reform. “What I see now as the most important thing for our country is the emergence of an all-inclusive political process in which all of our people can participate I would like everyone to work for this purpose with unity.,” she said. These are sentiments with which every citizen would agree. But at the time of this writing there was no indication that such an inclusive process will yet begin. As described in the previous chapters, the Tatmadaw is the main bloc that is against the genuine of Burma and if it doesn’t approve the Second Panglong even if it successfully held will be on paper. Without addressing and honoring the ethnic people’s demand for self-determination, the latest parliament-based government seems unable to stop political and civil strife throughout ethnic areas. In reality, ethnic people’s demand of equal rights is not a new one but already mentioned in the 1947-Panglong agreement. For example, the latest crisis in Kachin State clearly describes the immoral practices of the incumbent President Thein Sein Government. The Government even does not keep honesty to address the minorities’ issues in a fair-minded approach. In point of fact, the government armed forces have violated the 1994 ceasefire agreement and invaded into Kachin territory. As a result, KIO has constantly refused to accept the government’s three-step plan which says the issues have to be solved corresponding to the 2008 constitution. KIO likes better its own three-step procedure — the first step would be an agreement on the distribution of troops and their locations; the second step would be a comprehensive discussion similar to the Panglong Conference, which would involve all ethnic leaders and the government in order to work out long-standing political disagreements; the third and final stage would be to put into effect the agreement in whatsoever constitution is proper. However, President and his government did not take into consideration of the KIO’s three-step proposal rather. In reality, all other ethnic groups are closely watching the situation of Kachin’s struggle for autonomy based on Panglong Agreement which they also believe. Burma cannot gain National reconciliation without honoring ethnic self-determination. These issues must be addressed in the current People’s Parliament immediately. If the current government failed to deal with the Panglong initiative or equal rights of ethnic minorities, its self-styled political reform will be a meaningless optimism. David C Williams and Lian H. Sakhong. Designing Federalism in Burma. (Chiangmai, Thailand: The UNLD Press, 2005), 12. Reuters: Dec 8, 2010 “Myanmar junta accuses Suu Kyi of "cheap stunt"